Windsor Forest - Outdoor storage off double parking pad. Walk to Durant Nature Preserve! 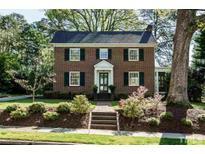 MLS#2250143. 3261. Meryton - Convenient location close to major highways, schools, shopping, and impressive NCFC Soccer Center. MLS#2246625. 3636. South Meadow - (See Documents for complete list of improvements). MLS#2249963. 986. Battle Ridge North - Give to closing Attorney or Buyer's Agent Firm. 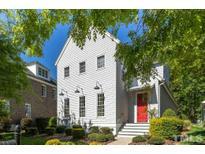 MLS#2250074. 1396. Check it out before it's too late! 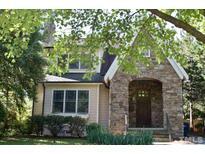 MLS#2249927. 4275. Town septic permit shows 3 Bedroom has has 4 Bedroom in it MLS#2249945. 1359. 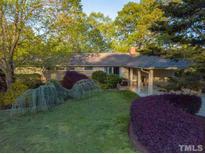 It has a large almost half acre lot. MLS#2249953. 625. Cambridge - A Country Escape in the Heart of N Raleigh with NO CITY TAX..This home is a peaceful Oasis where troubles are eclipsed by relaxing surroundings..A place to invite friends or just enjoy family in the pool or on the gazebo by the fish pond..You'll love the rustic interior with hand scraped teak floors and the spectacular Sun Room w/hot tub..3 Full Baths..1st Floor Master Bedroom+2nd Bedroom/Off..Huge Laundry...2nd Floor features 2 Bedroom's + office & Huge Bonus Room adj.a relaxing screened porch..Unf .Room over Gar..Workshop. MLS#2249853. 1127. Detached 2 car garage with STUDIO OVER GARAGE! HOA includes pool & lawn maint. MLS#2249868. 3789. ATTACHED 2 CAR GARAGE in rear MLS#2249889. 3789. Upstairs you will find 2 bed, 1 full bath and multiple closets per room. HOA includes pool & lawn maintenance! MLS#2249886. 3789. Evian At Neuse Crossing - Don't miss out on this deal, homes in this area do not last long! MLS#2249887. 3030. Mckinley Mill - NEW HVAC. This will not last! MLS#2249847. 636. Country Club Villas - Each Room offers Some Special or Unique Feature! 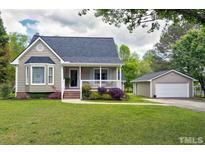 MLS#2249742. 1128. 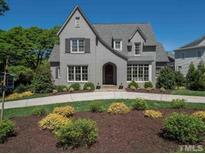 Stonemoor - Add gracious outdoor spaces to a Swiss-Family-Robinson-inspired bonus room and you have a spectacular home well suited for family and entertaining. Community pool & tennis. MLS#2249736. 1071. Upstairs offers 3 Bedroom Suites, Vaulted Media Room & WetBar and 2nd Game Room/Exercise Room. 3-car Garage. MLS#2249798. 1128. 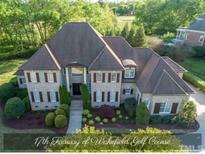 Brier Creek Country Club - Enjoy golf course views from the custom flagstone patio & wet bar, entertain in the game room or sit a spell on your rocking chair front porch. MLS#2248335. 4402. Forest Hills - Live life in a work of art. 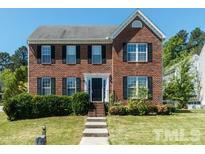 MLS#2249822. 636. Detailed features list in documents section. MLS#2248083. 1502. 2nd floor Bonus offers hardwood floors. Updated landscaping. Private yard MLS#2246584. 1127. Mordecai Place - Inviting front porch. Great ITB location! MLS#2249711. 649. The lot is heavily wooded and the owner is exploring possible development ideas. MLS#2249752. 1319. Renaissance Park - 4 add'l Bedroom w/jack & jill bath & another full bath. MLS#2249796. 2731. Black Horse Run - 1 Car Garage w/wrkshp. **See addendum for addt'l features/upgrades. MLS#2244121. 4498. Upgraded features include new carpet and new tile in select rooms. MLS#2249797. 4823.